Brisbane Roar FC Managing Director Sean Dobson has announced today that head coach Mike Mulvey will step down from the role, effective immediately. “Head Coach Mike Mulvey met with Brisbane Roar FC management today. As a result, he will step down from the Head Coach’s position,” Dobson said. “Brisbane Roar FC thanks Mike Mulvey for his contribution to the success of the club since his appointment as interim coach in December 2012 and as Brisbane Roar Head Coach in February 2013. 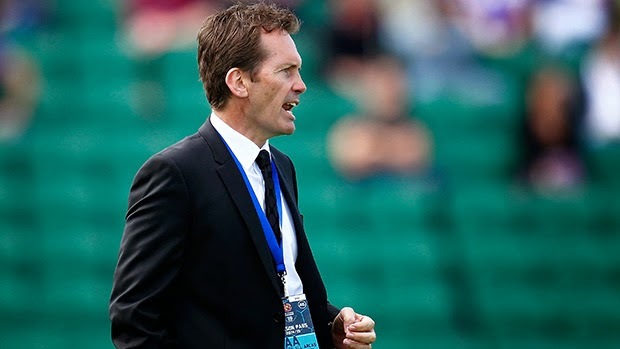 Mr Dobson said as a result of a review by the Brisbane Roar FC board, which began immediately following the Hyundai A-League 2013/14 season and included the first games of the club’s 2014/15 title defence, Mulvey was today informed he would no longer hold the position of Head Coach. “The board review of all Brisbane Roar FC football operations was conducted in line with Brisbane Roar’s commitment to continual improvement,” Dobson said.